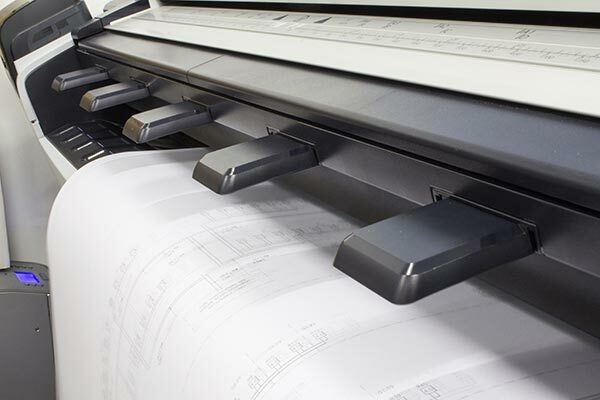 If you need large format plan prints printing or architects drawing printed from a digital file Handy Print in Bromsgrove can help. We offer a fast digital plan printing and print from file service for all architectural, construction and engineering plans. We can also copy and convert your large plan prints and documents up to A1 size on to a USB memory stick. We can print to a variety of large format sizes including A0, A1 and A2 size. If you need a lot of copies – volume plan print discounts also available! Whether you need a paper or digital copy of a plan print or large document Handy Print can help. We are digital print specialists. Need to archive your plan prints or large documents? – No problem, we can copy and convert your documents up to A1 size in black and white or full colour. These can be supplied to you in a digital file format and saved to a USB memory stick.